Mr Monkey caught a bus which took him through thunder and lightning (really rather frightening) and torrential rain into Manchester. He scampered through the waterlogged streets to the Royal Exchange Theatre for the press night of A Streetcar Named Desire. 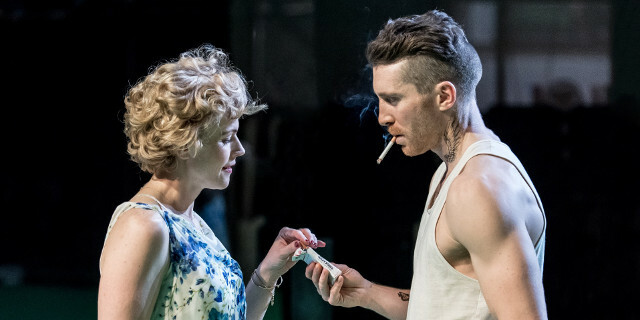 Tennessee Williams started work on A Streetcar Named Desire in 1945, two years after his sister Rose was institutionalized and lobotomised because of her schizophrenia. The play was opened on Broadway on December 3rd 1947, receiving enthusiastic reviews and winning the Pulitzer Prize and New York Drama Critic's Circle Award. A Streetcar Named Desire is set in New Orleans, and starts with Blanche DuBois inviting herself to stay with her sister, Stella, and Stella's husband Stanley Kowalski. She arrives with no real explanation of why she's there, no intention of leaving, and an apparent sense of her social superiority. She doesn't like the house being small, or Stanley being Polish, working class, playing poker at home, or hitting Stella. About the only thing she really likes is Stanley's Southern Comfort. Stanley returns her distaste in spades, and Stella is torn between her love for her agressive husband and her love for her passive-aggressive sister. Eventually Stanley finds out some unfortunate truths about Blanche's past, and he effectively drives her mad. The set uses a combination of low furniture and unlit neon tubes to mark out the Kowalski's small apartment. There's also a mirror which Mr Monkey mistook for a window because he could see through it, and a bath which he didn't notice until Stanley complained that Blanche was spending too long in it. Overall, there's a good sense of an apartment that is just big enough for two people, and way too small for three. 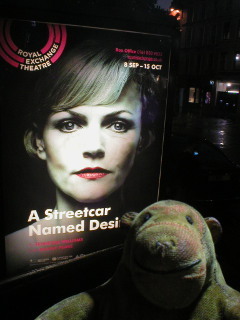 Mr Monkey had been concerned about seeing Maxine Peake as a whinging Southerner, but he needn't have worried. Peake's Blanche is a skilled manipulator hiding an iron will under a veneer of gentility, who only descends to self pity when her irresistable aristocracy shatters on Stanley's immovable directness. Ben Batt is convincing as Stanley, at first trying to live amicably with Blanche for Stella's sake, and then fighting back brutally when it becomes obvious that Blanche doesn't have a strict regard for truth. 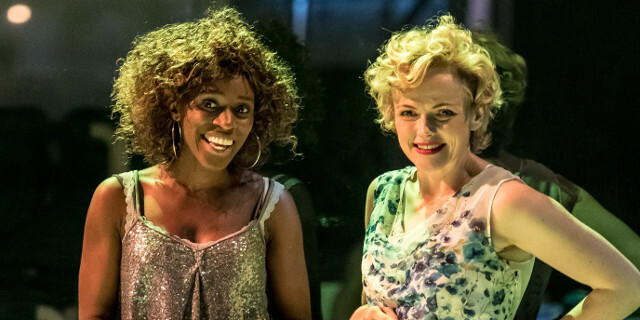 As Stella, Sharon Duncan-Brewster is excellent as possibly the only truly likable character in the whole play. Mr Monkey thought that the play slowed a little at times (particularly when the stage needed vacuuming after a fight) but blames Mr Williams for writing it that way. Also, Mr Monkey has been told that life is supposed to be relaxed in the Big Easy. Mr Monkey enjoyed this production, even though he's not really a fan of Tennessee Williams. It's an uncomfortable and stormy night out. A Streetcar Named Desire runs until 15th October 2016.